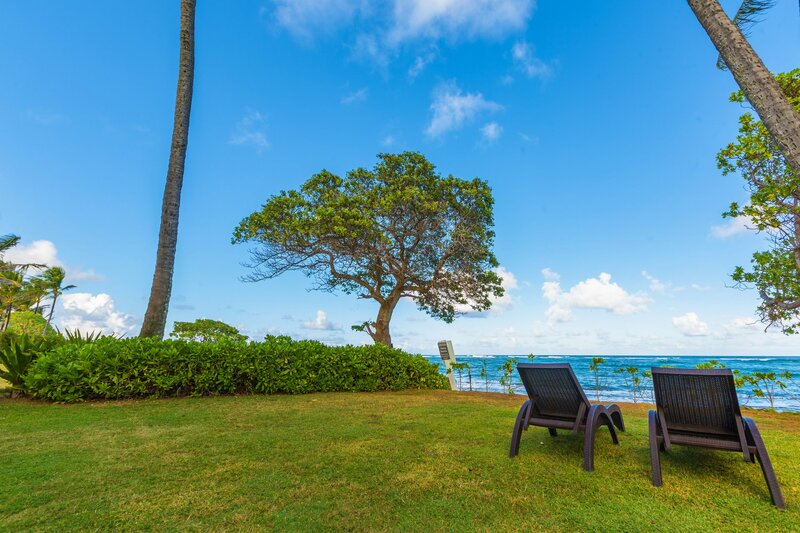 This could be your daily spot to enjoy an afternoon cocktail! 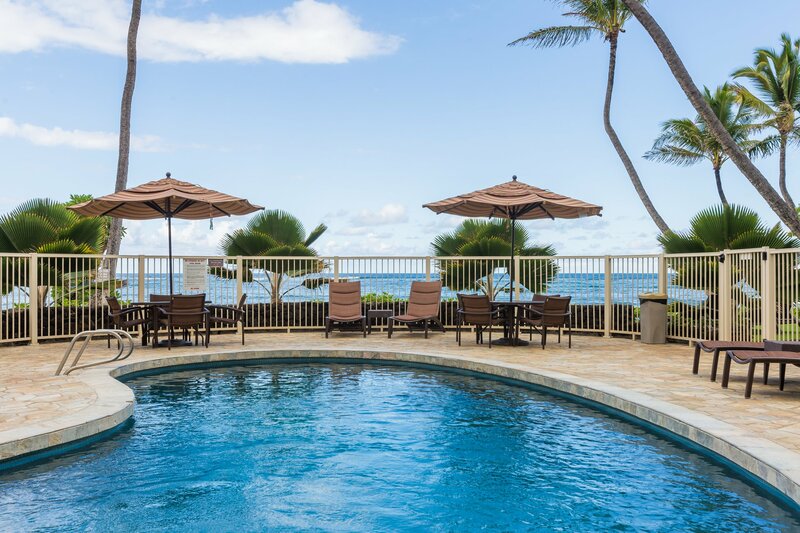 Kids will love the pool, the adults will love the ocean views! 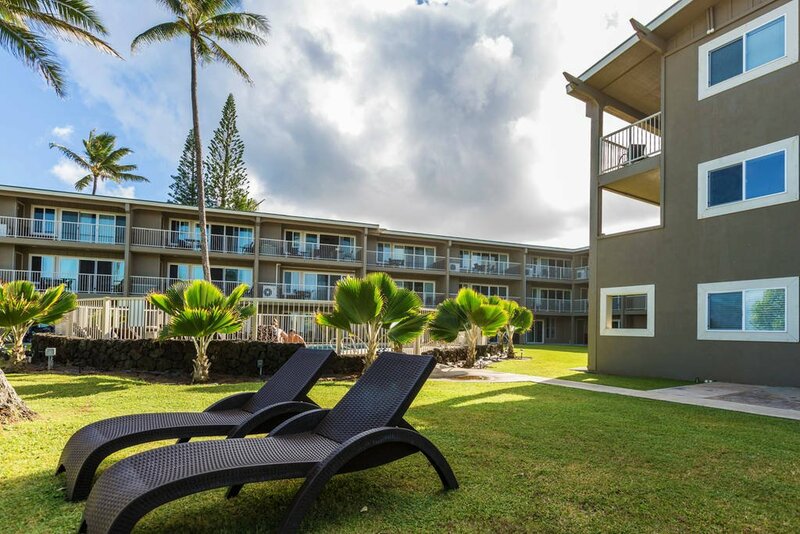 Relax in the Kauai Sun! 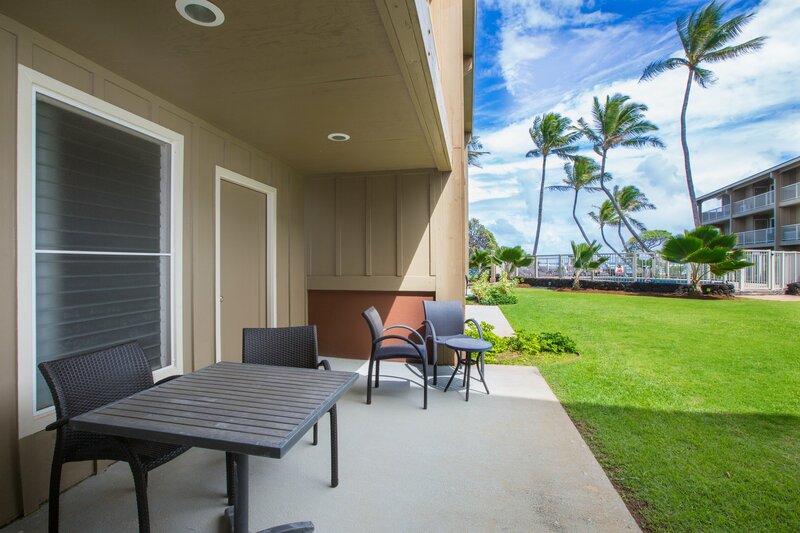 Open floor plan with Lanai and easy access to the pool! 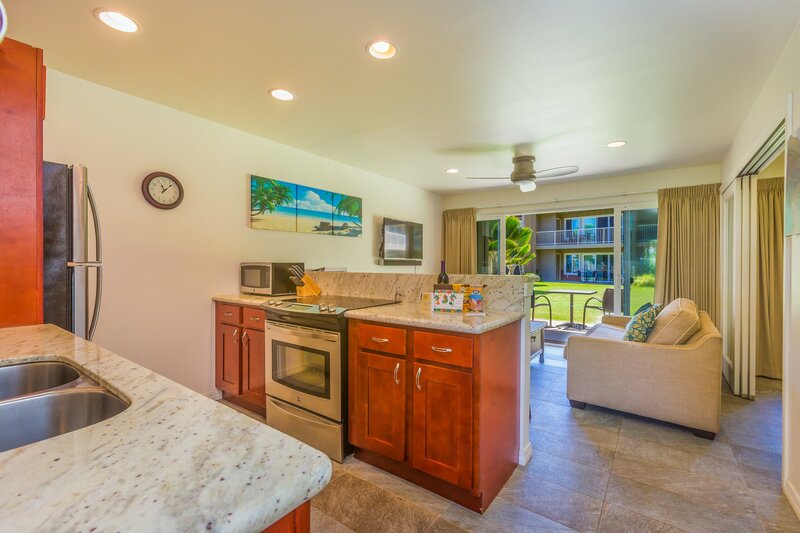 Modern Stainless Kitchen, Living Room and lanai. 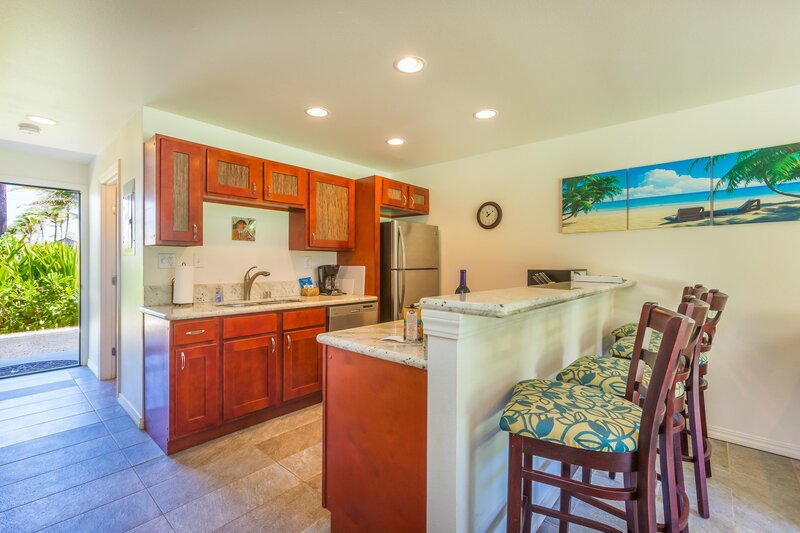 Bar Seating to enjoy cocktails! 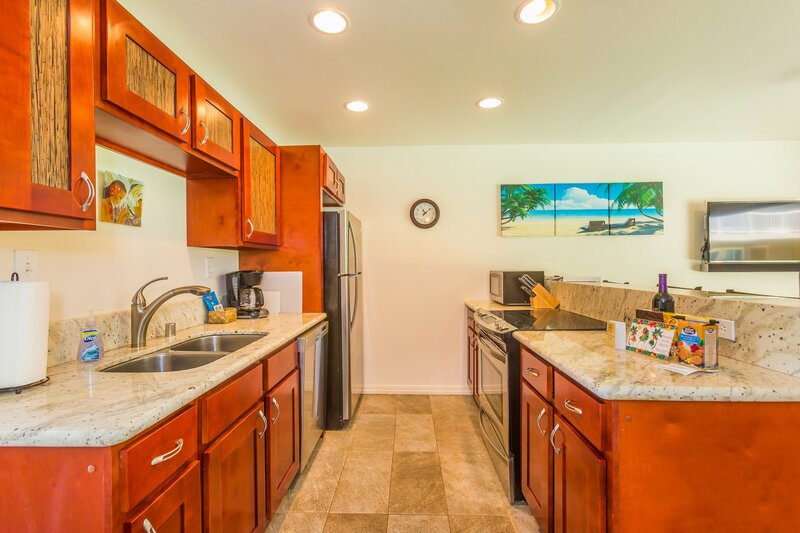 Fully stocked kitchen with all you need to cook family meals. 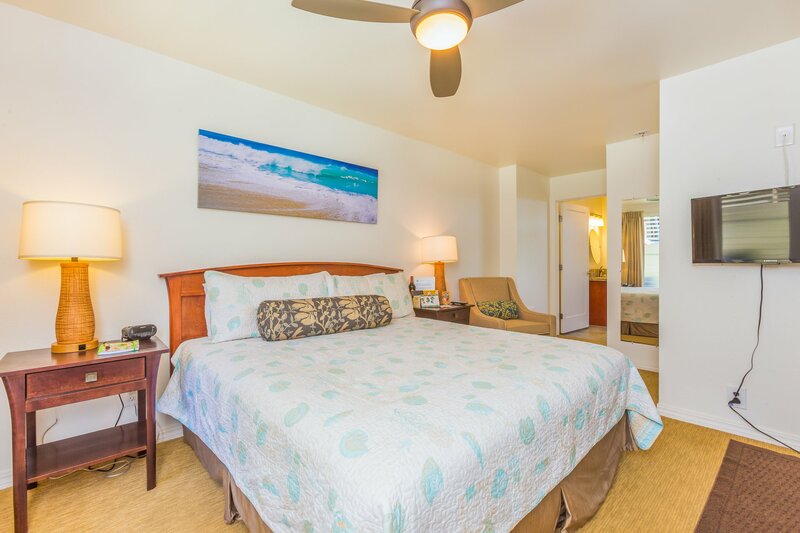 King Sized Master with window and fan to keep the ocean breezes moving through. 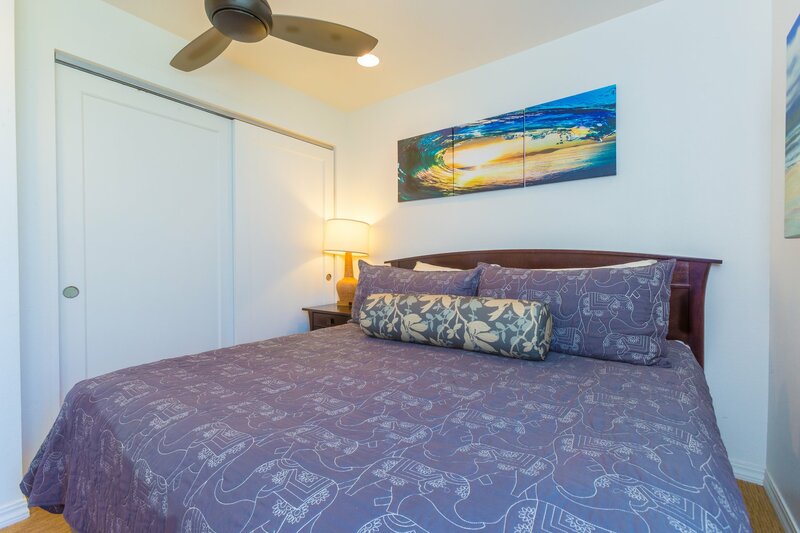 Comfortable King Sized Bed with ceiling fan. 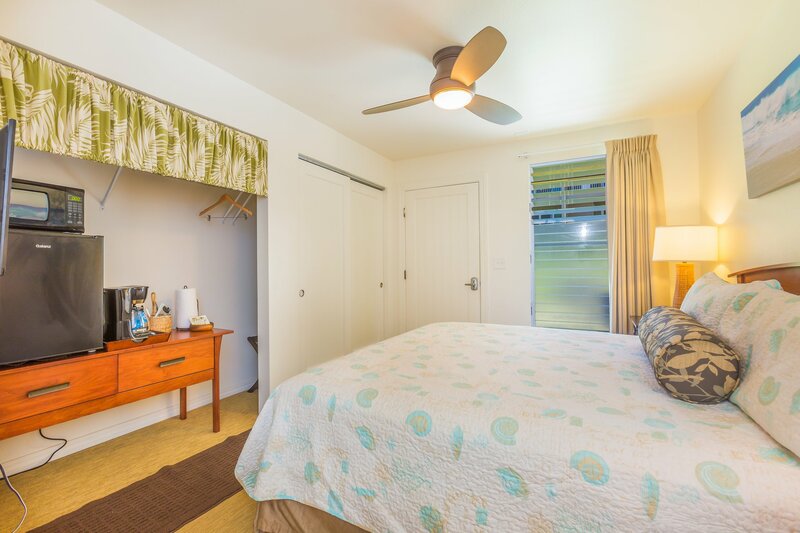 Twin Bedroom with view of the Lanai and pool. 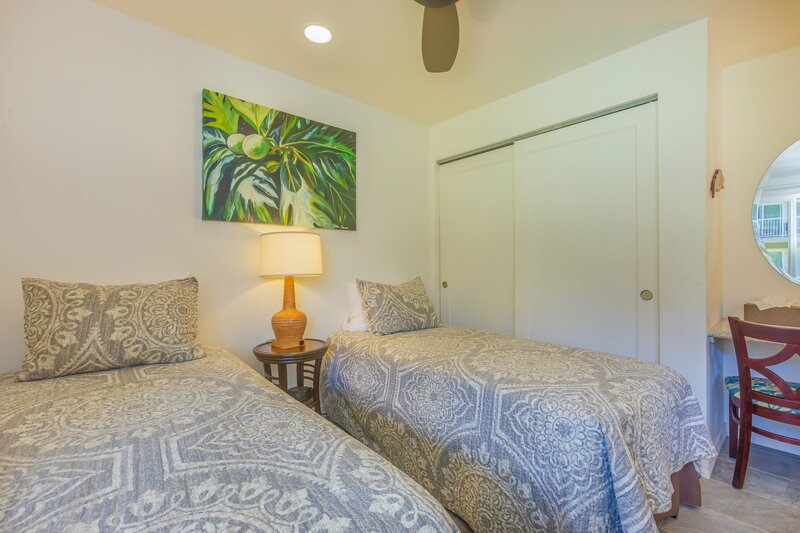 Twin bedroom also equipped with ceiling fan. 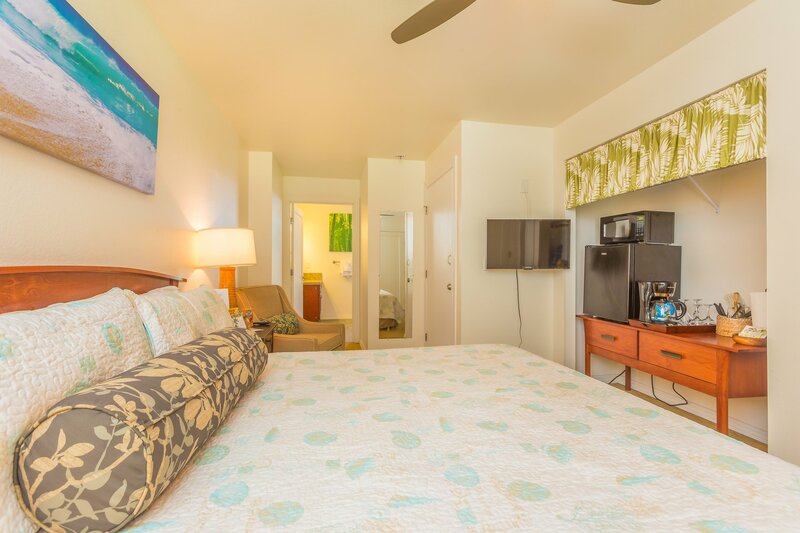 Relax and watch tv after a long day exploring the island. 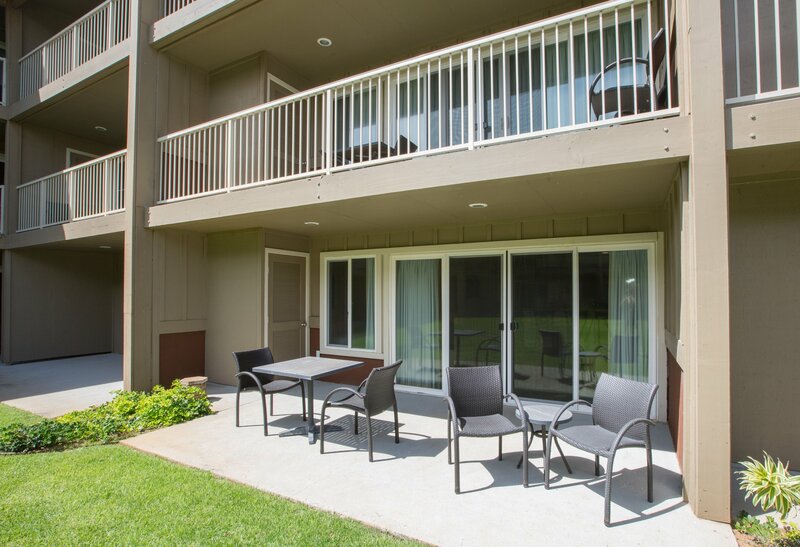 Everything you need in your own space away from the rest of your group! 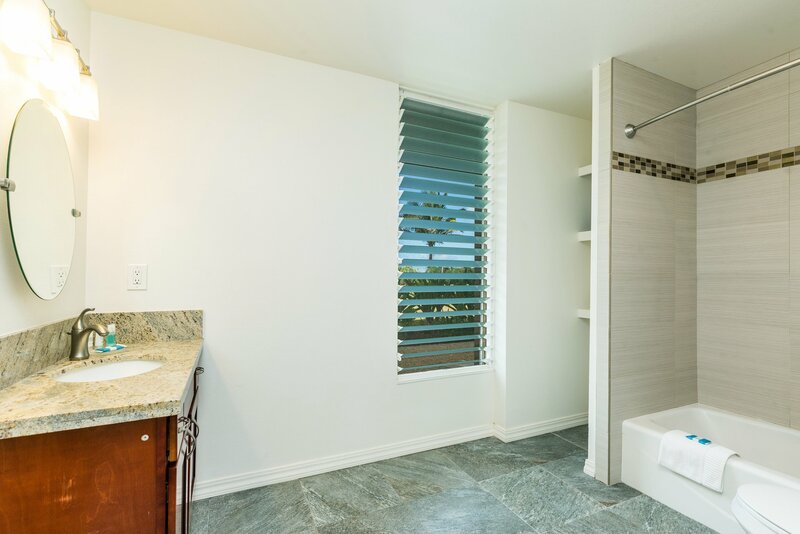 Second bathroom with shower and tub. 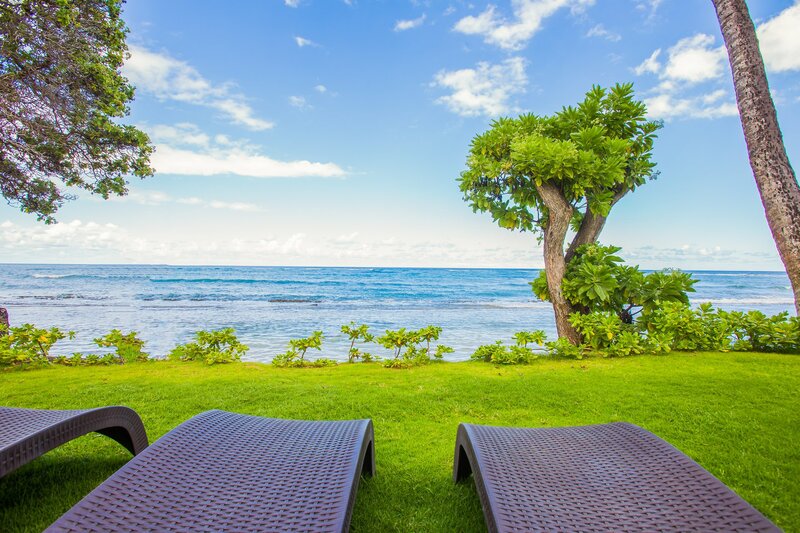 Relax in the sun, with the sound of the ocean crashing behind you! 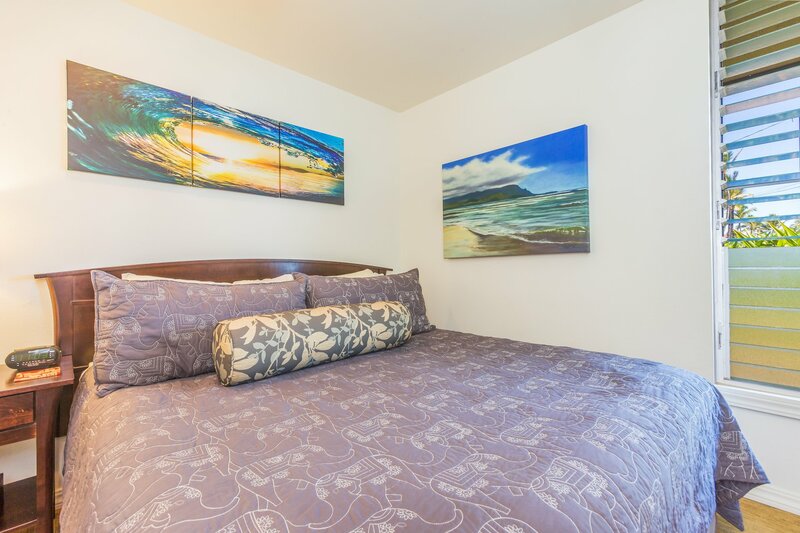 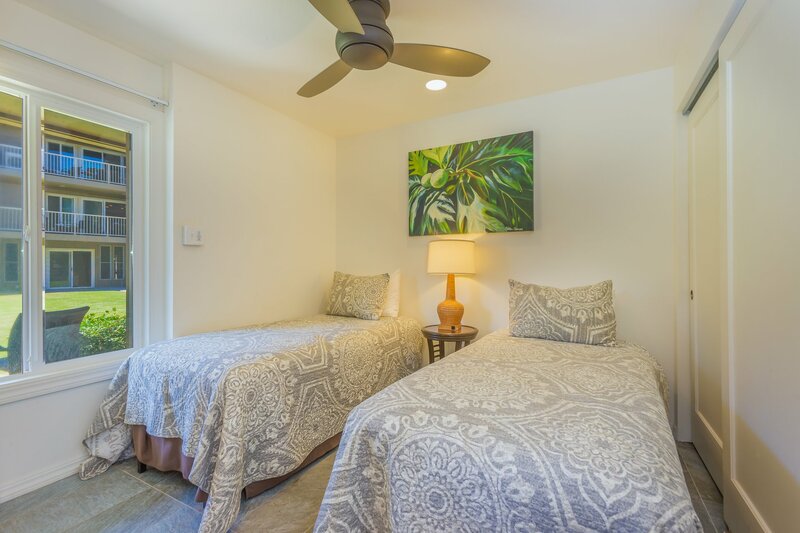 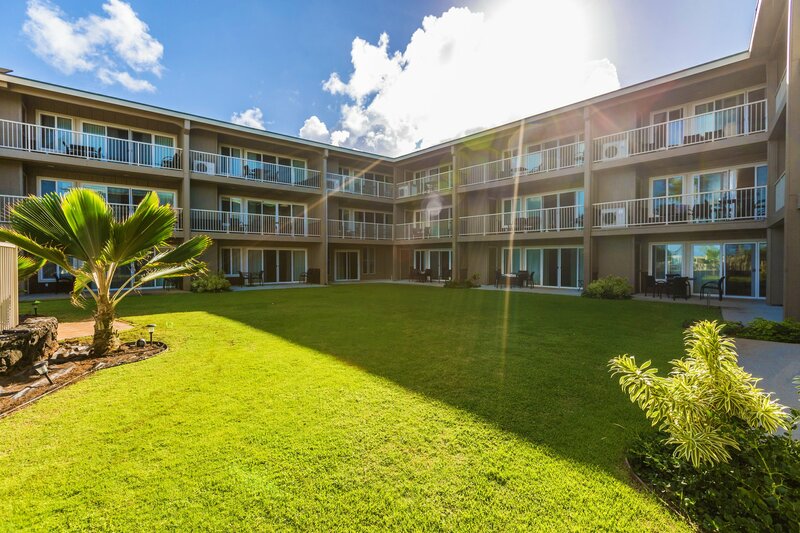 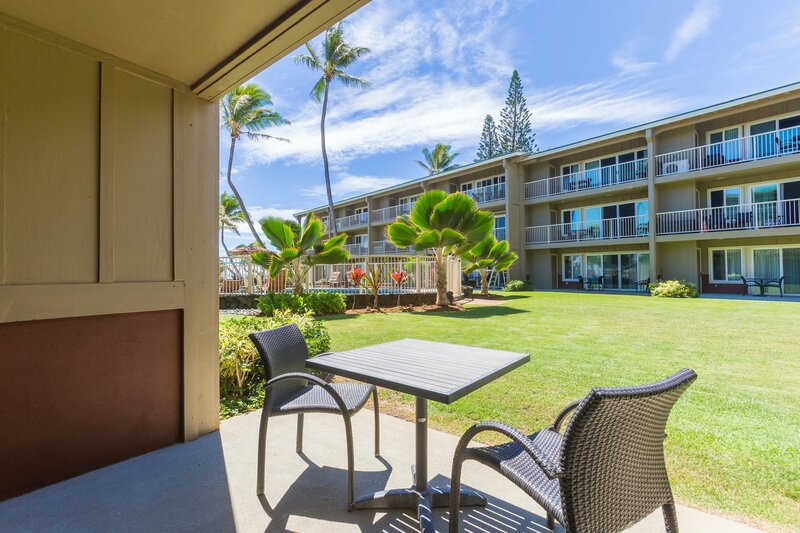 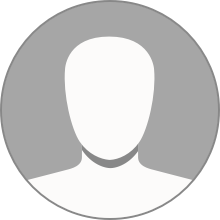 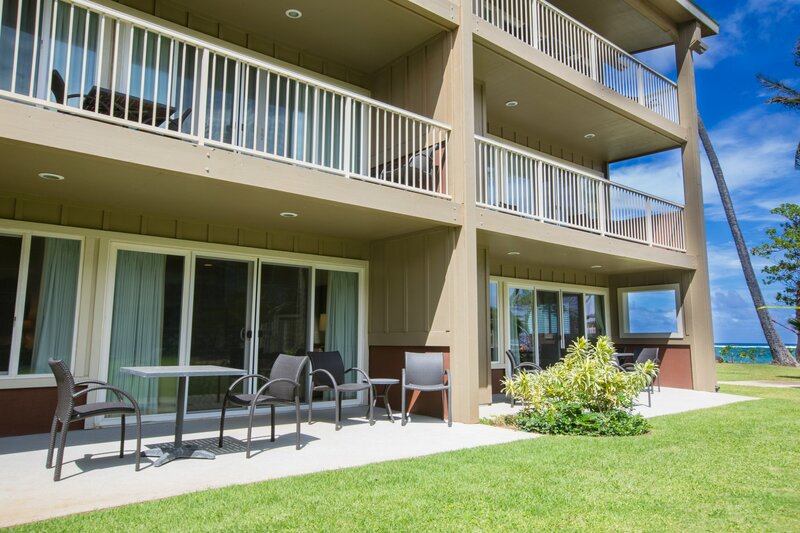 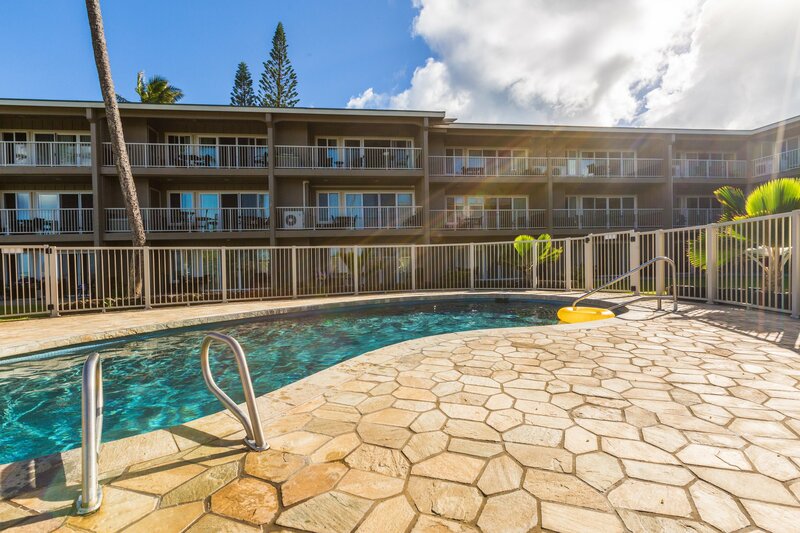 Kauai Kailani is Oceanside, and easy walking distance to several restaurants! 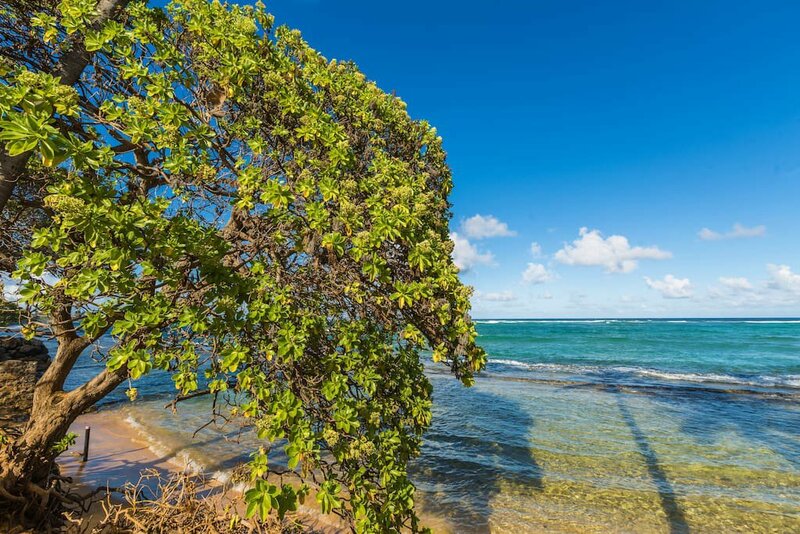 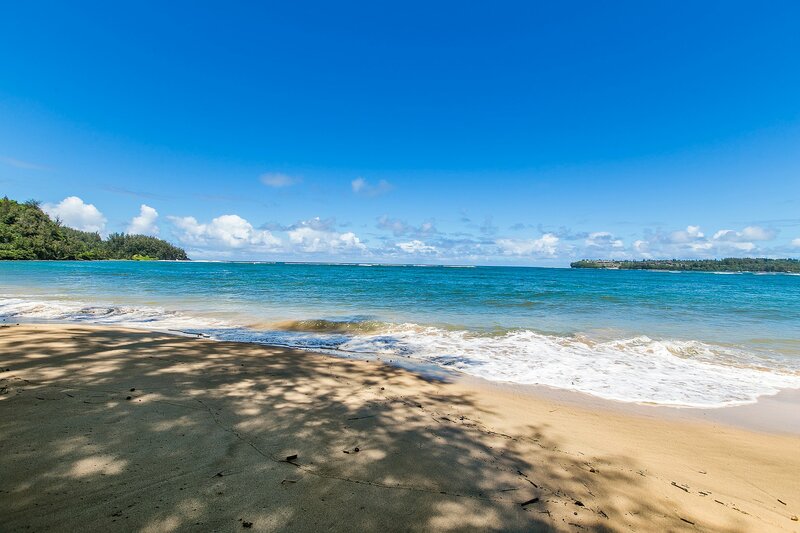 Your own beach right in front of the property, another lifeguarded beach 100 yards away! 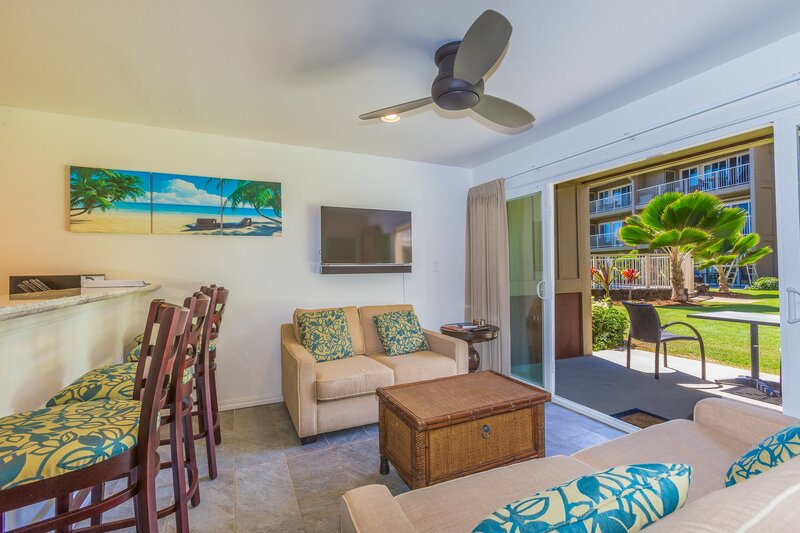 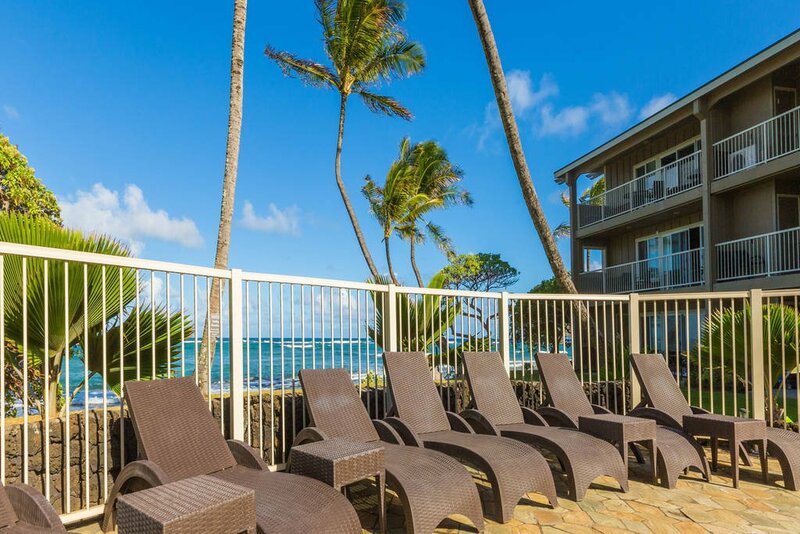 Kauai Kailani 112 isn't just another one of those other Princeville, Kauai vacation rentals, it's much more than that. 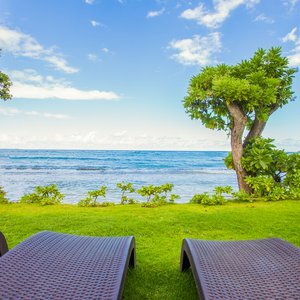 Click to learn all about it, and book your vacation today! 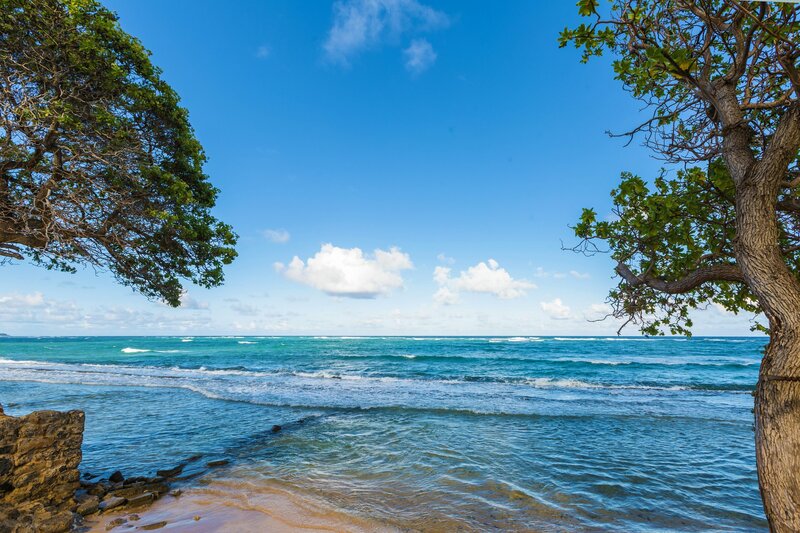 Sunrise on a quiet beach just in front of the condo complex. 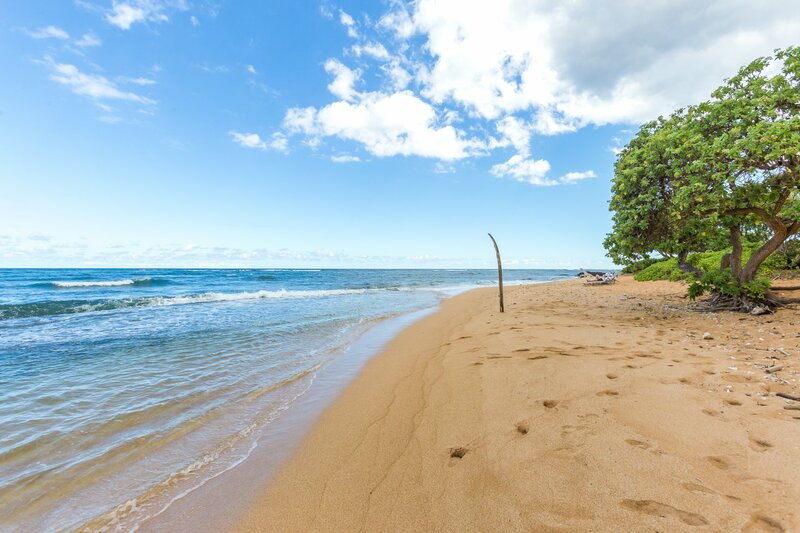 Just a few steps until your feet are in the sand. 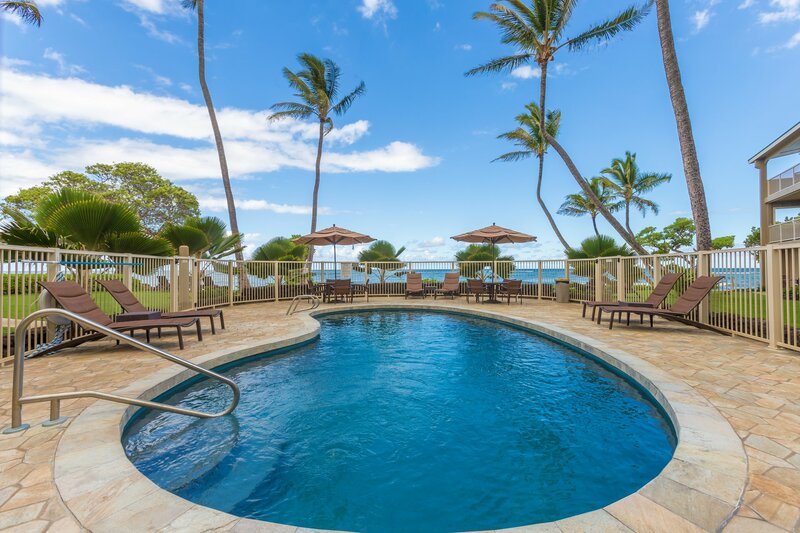 Gentle tides of the saltwater lagoons greet you. 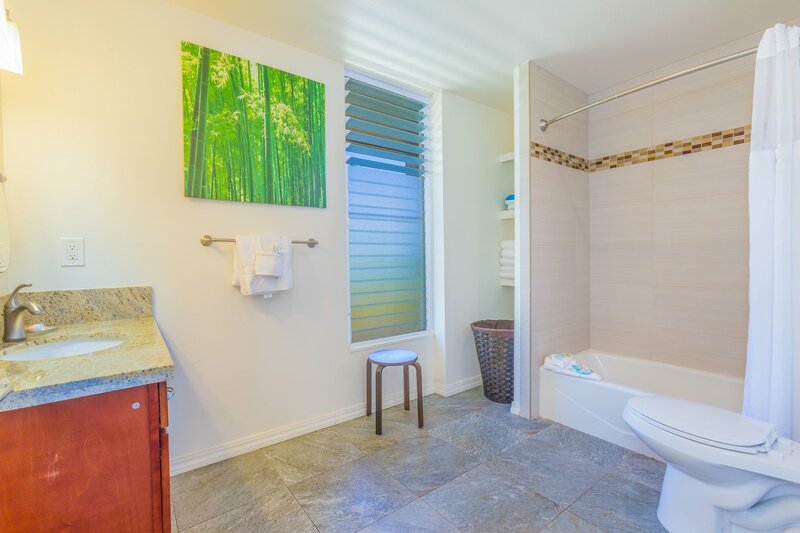 Completely renovated three bedroom with no stairs. 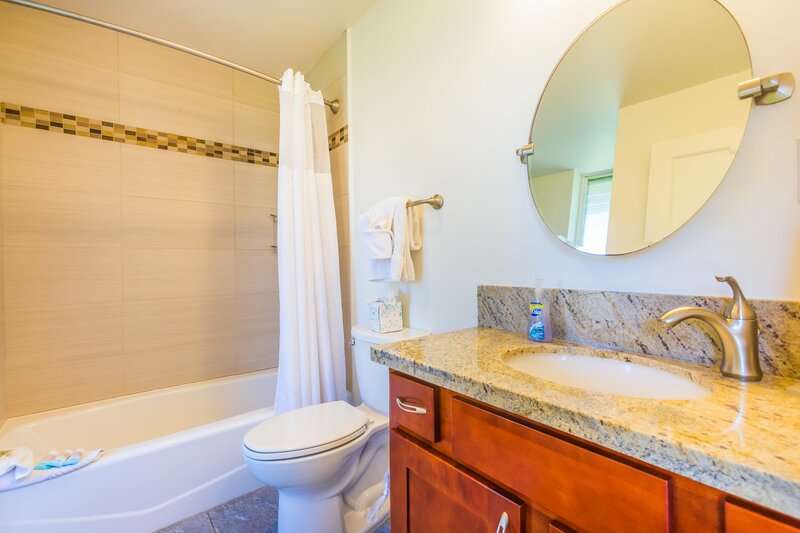 Granite counters, 2.5 bath with washer / dryer featuring stylish modern furnishings. 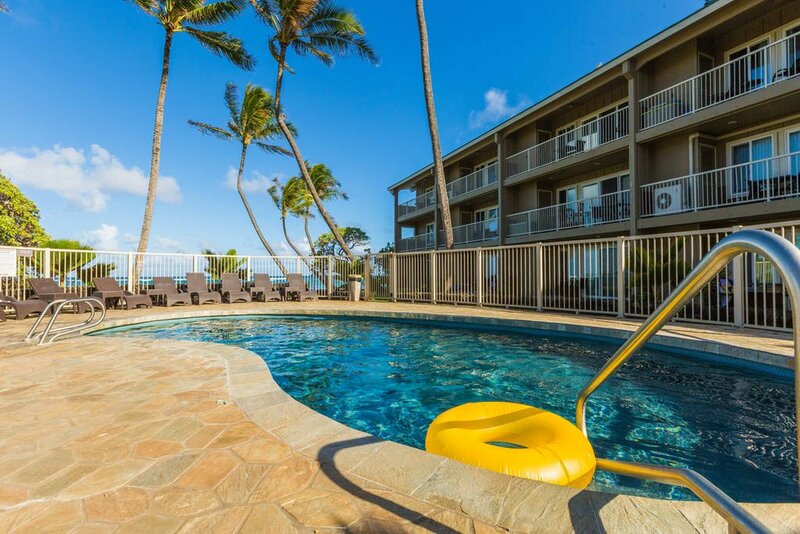 two lanais, pool, parking. 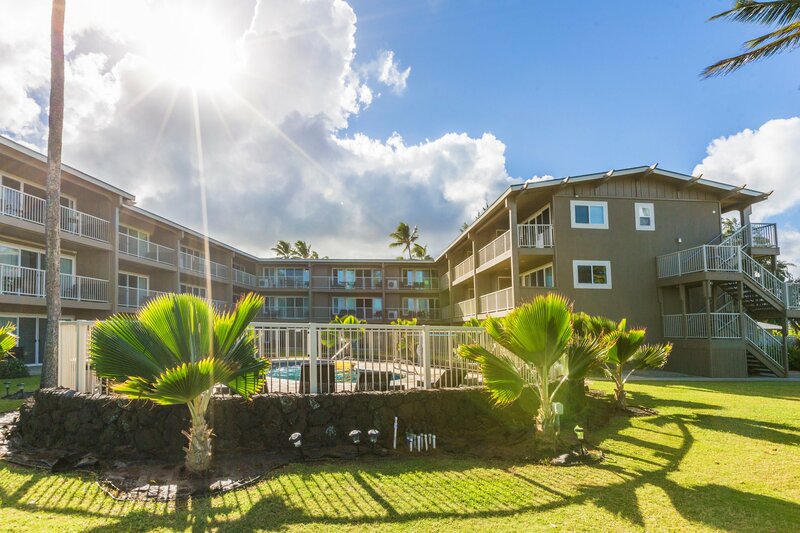 Walk to dining and shopping. 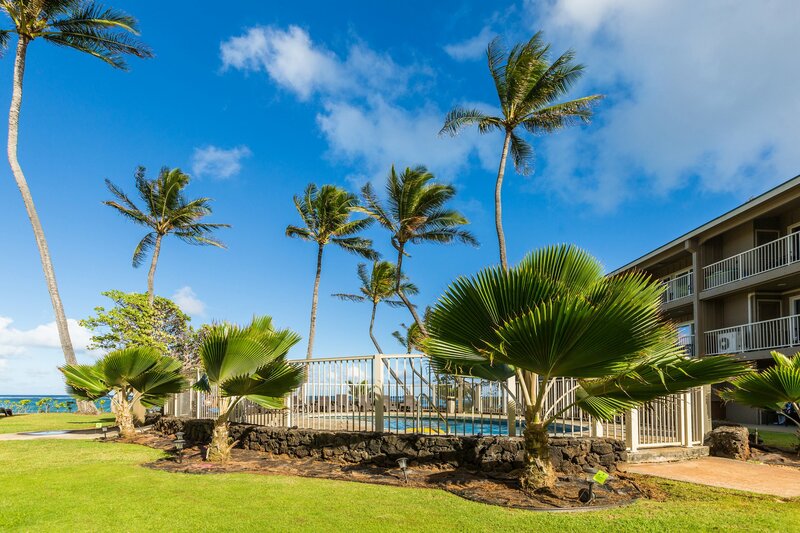 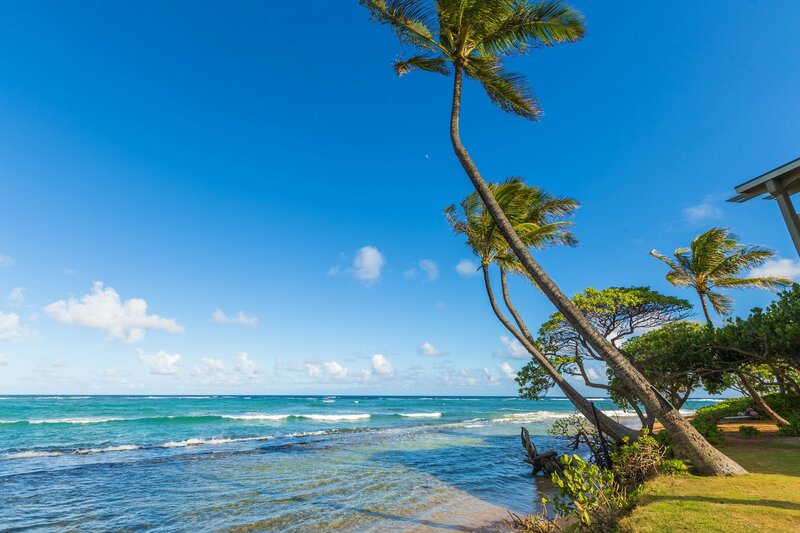 Old Hawaii charm with modern style and the perfect Coconut Coast setting for yourself and your family to call home base while here on Kauai.